Kendra Wilkinson is spending time with family and friends amid reports of a split from her husband. The 32-year-old "Kendra on Top" star enjoyed an outing Tuesday with 3-year-old daughter Alijah Mary amid rumors she's headed for divorce with Hank Baskett. 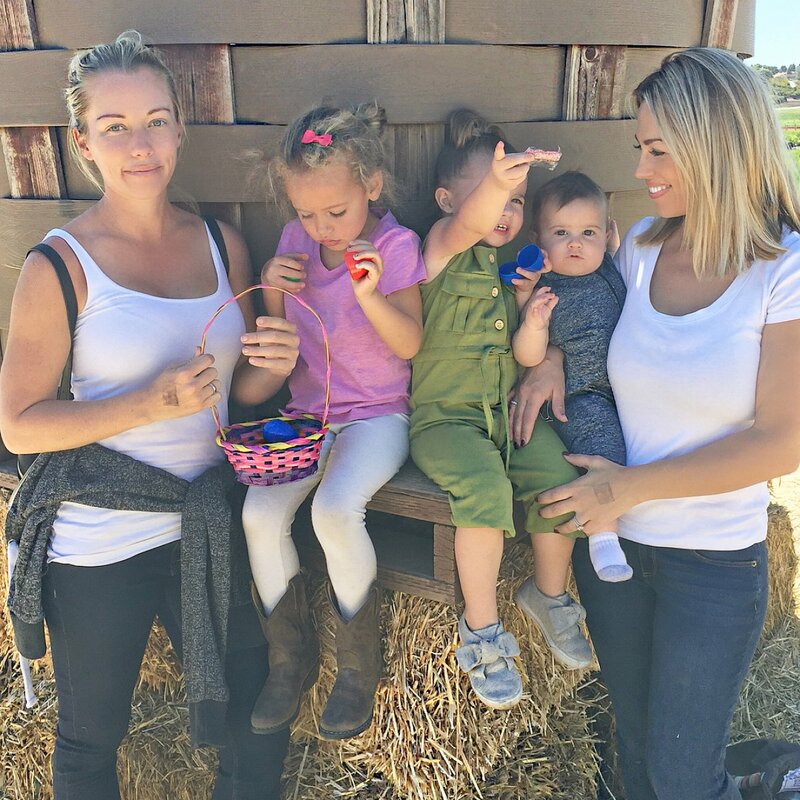 Wilkinson and Alijah attended an Easter egg hunt at Underwood Family Farms in Moorpark, Calif., with blogger Jessica Hall and her two daughters. Wilkinson shared several photos and videos on Instagram Stories from the outing. "Great day with my loves @iamjessicahall," she wrote. Hall also posted a group photo with Wilkinson and their daughters. "Had a great afternoon with @kendra_wilkinson_baskett and Alijah #underwoodfamilyfarms #easterfun #family #sparkleinpink," she captioned the picture. Wilkinson, who was not wearing her wedding ring in the photos, had said in a series of posts Sunday that "life isn't making any sense," according to E! News. People reported Tuesday that Wilkinson and Baskett are preparing to separate. "They've been having a really tough time, especially over the last three to six months," a source said. "She's always been someone who wanted to be fully committed, married forever and was definitely a 'I'll never get divorced' kind of girl, but she really lost trust in her marriage and she's realized there's no turning back," the insider added. Wilkinson said in February that she was having "marital problems" with Baskett. The couple married in June 2009, and share Alijah and 8-year-old son Hank Baskett IV.